And how many talking trees did A Tale of Two Cities have? I like to think that all of the different types of feature included on The Pop Culture Studio serve a specific purpose. Some, like the reviews or The Anatomy Lessons, are meant to offer up unique insight into the books, films and comics we love. Others, like Soapbox or Crystal Ball, are intended to provide commentary on topics new and old that pop culture fans will hopefully find interesting. But sometimes, all I really want to do is entertain you, so with this in mind, I’ve decided to launch a new feature, Pop Culture By the Numbers. 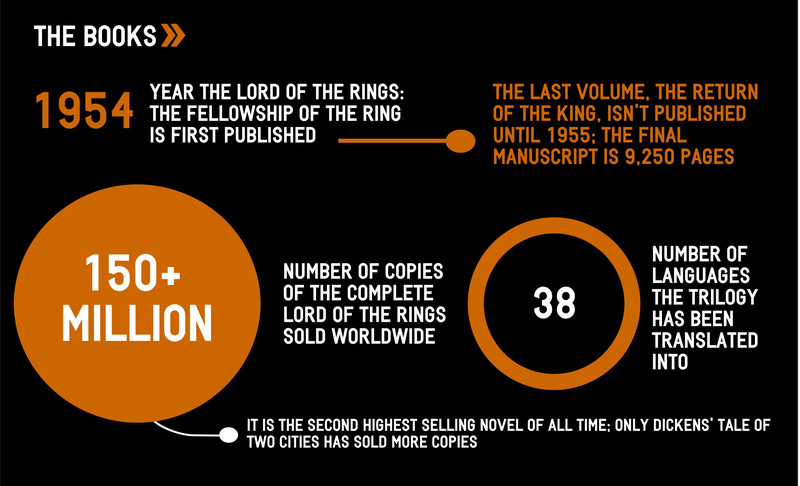 Read on and you’ll be treated to the first infographic in the series, which looks at some of the amazing statistics behind The Lord of the Rings media franchise.